If you’re looking to move into a career that’s only getting bigger and more influential in the IT industry, then look no further than SEO and digital marketing agencies. The industries are growing rapidly, with more and more opportunities for passionate computer and content enthusiasts to make a difference to the online world. 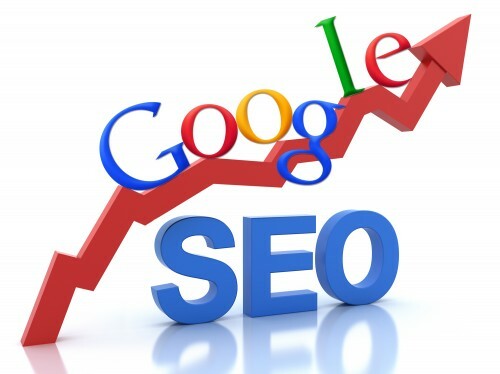 SEO – or search engine optimisation to give it its full title – is the process of creating websites that are viewed favourably by Google and meeting the requirements of its algorithm. Get on Google’s good side, and you’ll find the site you’re working on ranks in the highest positions, but get it wrong and the consequences could be disastrous. Getting it wrong could be anything from over optimizing the page with key terms and phrases that you want the site to rank well for, as Google will see this as an almost ‘spammy’ attempt at manipulating the rankings; or linking to poor authority or frowned upon websites, such as adult entertainment or gambling. Digital marketing is an area of SEO that has grown out of the main search campaigns, and become one of the most influential strategies going at improving web traffic. In the past, it was a case of blogging on the site itself being crucial, to show that the site is being regularly updated with high quality content on a frequent basis, as opposed to a flash in the pan campaign around peak times. Now, it’s all about creating the high quality content and distributing it to high authority websites with strong domain rankings, page rankings and more, and linking back to the site you’re working with to build up a backlink profile that Google’s crawlers take one look at and think – yes, I like what this site is about and doing, they can rank highly. These two areas of the tech world open up a variety of career opportunities for a wide range of people. From those sitting at home having graduated from University or left college, searching the web for jobs in Portsmouth in an attempt to get their foot on the ladder; as well as those in the big city already established in online or ICT careers. For those with a passion for writing, there are content writing positions springing up – either as full-time or freelance positions – and also opportunities for those looking to do something more pro-active with websites and the Internet, challenging yourself to overcome the challenges set by the site owners and Google to achieve what your client demands. This is usually the number one ranking for their “key term”, or the first page of the search results. While many of us fancy ourselves as DIY experts; sawing, hammering and nailing bits together to create a new set of shelves, or putting a picture on the wall, SEO is not something you can ‘blag’ your way through. There are just too many complicated and frequently changing factors involved that require expertise as opposed to an instruction book. A lot of people in the IT industry, or working “in IT” for large businesses feel as though their limited knowledge of SEO is enough that the firm doesn’t have to bring in experts in the field, and that they can do it themselves. However, history and case studies show us that this is the start of a slippery slope. A lot of businesses who opt to do their own SEO soon find that they’re being penalized by Google for over-optimisation of their site, essentially ‘spamming’ the site with the terms that they want to be seen ranking highly for, and Google subsequently prevents them from doing so, knocking them down the rankings or not including them at all. One of the main reasons that firms opt against bringing in so-called SEO experts is that they believe all of the best firms are based in the United States and that they charge overwhelming amounts. However, there are plenty of British and Irish SEO agencies who are gaining reputations for being among the very best in the industry, and, what’s more, they don’t charge the substantial American fees and – for those based in the UK and Ireland – they’re working at the same times as you, there’s no time zone changes, meaning that if you have any issues or need to contact them for an update, they should be on-hand whenever you need them. For those still not convinced on the advantages of bringing in an SEO firm, you have to question how you want to get to the “next level” in your industry. You might be doing very well, but you always want to be doing better – ambition is only natural with any business. But sometimes, no matter how good your existing in-house IT team may be, they don’t have the expertise in SEO to find the strategies to take you from the top 20 search results for your key term to the first page, top 5, number one, wherever it is you want to be. With so many strategies in an ever-evolving industry, there’s no way this is a DIY job. Reaching the next level is serious stuff and therefore needs the best in the business, not the amateurs. Here is a quick round up of the latest updates and news from the SEO sphere! Unbounce loves infographics – and its latest, impressively long example makes a powerful case for the merits of Google+ for business. Headline benefits include: it’s indexed by Google; it’s new, but already has more than 170 million users; and it’s growing rapidly. According to the article, 60 percent of Google+ users log in every day, compared to only 50 percent for Twitter, and Google+ allows you to curate information that builds a business persona and engages an audience. Add the fact that membership will continue to grow, since all Gmail users have a Google+ account by default, and you’re on to a winner, concludes the piece. Infographics are also good for link-building, SEOmoz reminds readers, in a guide to getting good link-mileage from your efforts. Make it really easy to share your work by adding an HTML embed code, recommends the piece, and include some form of branding in the body of the graphic in case people don’t credit you. If you’re serious about reaching an international audience, consider translating your work, and tweet about it in the same language. Reuse your content by reformatting it, using video as a powerful repurposing tool, promote it to death among your social networking circles, then wait for it to go viral, concludes the article. Given the popularity of video content, don’t waste your creative efforts by failing to optimize your landing pages, warns ReelSEO, in a piece that delivers eight solid tips. Ensure your general SEO is in shape before tackling video-specific tasks, and start by using YouTube’s search filters to research high-quality keywords, advises the article. Add an XML video sitemap, and consider adding a text transcript if your page is short on written content, recommends the author. Make it eye-catching, adding stand-out thumbnails, and finally, check your page loads quickly to avoid losing visitors before they view your masterpiece. There’s no shortage of advice for businesses wanting to use Pinterest as a marketing tool, but most of it’s aimed at consumer-focused organizations. Social Media Examiner offers tips for B2B companies wanting to take the plunge, starting with the ever-popular infographic. Pinning attractive cover images of your gated content, including e-books and white papers, is another proven technique, while images of your products and your brand are must-haves, concludes the article. PushFire assembled 10 of the best-known names in the SEO industry to answer a series of probing link-building questions, and unearthed some gems in its 2012 guide to Link Building with the Experts. To compete with brands that dominate the top SERPs slots, become a brand yourself, suggests Rand Fishkin – it’s what “real companies do.” The panel is almost unanimous in asserting that links will remain very important to SEO for years yet, with most members still focusing on quality links as the most significant ranking factor. Recent changes to Google’s algorithm, assert the majority of panelists, don’t change white-hat SEO ground rules one iota. Keyword research is a critical part to any SEO campaign. An article on The SEO Agency discusses the importance of keyword research and how to effectively use both short-tail and long-tail keywords in your strategy. It is best to use a mix of both types of keywords and the article suggests two strategies to accomplish this 1) combo pages and 2) individual pages. The key is to keep sight of competitive short-tail keywords in your SEO and content development, while taking advantage of specific long-tail phrases. Every piece of content you create, states SEOmoz, should be “leading people to perform measurable actions.” Simply adding a “Buy Now” button to your page isn’t just inadequate, it’s a turn-off, warns the piece. Be provocative, visionary, authoritative, timely or just different, it opines. Telling a coherent story is another key piece of the puzzle, and allows you to lead the reader gently toward the desired conversion. Rate your content against these factors, concludes the article, and change your writing style to plug the gaps. According to Google’s Bradley Horowitz, Google+ is still waiting for the intense period of growth that has characterized other social media networks, including Facebook and Twitter. Speaking in London, Product Management VP Horowitz noted that it took other “successful social networks … four years to get to the hypergrowth stage.” Horowitz also hinted at soon-to-launch products that will make a big difference to Google+ usage, one of which, he indicated, is a new Google mobile client. Last week, Internet strategist Nathan Sauser noticed a new Google pop-up asking his opinion of the search results it had just delivered, and posted details of the event on his blog. Trying to second-guess Google’s motives, he provoked a number of articles on SEO blogs, including a piece by WebProNews that concluded it was no more than an exercise in gathering live feedback. “This is one of our experiments,” confirmed Google, one which WebProNews believes is easier to use than the current offering. Too many business websites still fail to deliver content that satisfies visitors, suggests Search Engine Journal, citing missing phone numbers, prices and company information as the main oversights. Many pages also lack a coherent call to action, observes the article. Search Engine Watch, in similar vein, looks at ways to improve conversion rates, starting with gauging customer intent. Structure content according to your visitor’s likely stage in the buying cycle, suggests the piece, avoiding ambiguity throughout and reducing the level of choice at each stage. Remember to ask for feedback, concludes the author, as the first step in building brand loyalty. Yammer: Microsoft’s Billion-Dollar Facebook Clone? Microsoft finally shook hands on a deal to acquire Yammer, worth $1.2 billion, reports Wired.com, confirming one of the industry’s worst-kept secrets. Microsoft says that Yammer, “a Facebook-like social network designed specifically for businesses,” will remain independent initially, eventually being wrapped into the company’s other products, including SharePoint and Office 365. Yammer CEO David Sacks, who will stay in post, made headlines in March 2012 when, in response to what he saw as “patent trolling” by Yahoo, he offered a $25,000 signing bonus to any Yahoo employee who left to join Yammer. BlueCaribu’s infographic on the size of the SEO industry answers a heap of questions, but raises a few more. Every month, 2.4 million Americans, just over half of them male, search for “SEO,” reveals the graphic, and 863 million websites around the globe mention the term. Interestingly, as a nation, the United States has only the fourth-highest interest in SEO, behind India, Pakistan and the Philippines. But try to locate any numbers that show the monetary scale of the industry and you’ll come up short – this piece is more likely to fuel water-cooler debate than board-room strategy. Having introduced a minimalist look to its SERPs pages in May 2012, Bing announced one month later that it had extended the process to Bing Image Search. Noting that image search accounted for 7 percent of all Bing searches, the company introduced a tile-based layout that received positive responses from Search Engine Land and others. Now sporting a look-and-feel that resembles Pinterest’s much-mimicked layout, the revamped Image Search also features filter bars, trending searches and search suggestions. Econsultancy takes an outside-the-box look at content generation, often rated by marketers as one of the more difficult techniques to get right, and suggests repurposing existing business communication, including emails, phone calls, training materials and customer service stories. Taking time to reuse some of the content that you already write in response to customer queries and service calls can provide great articles and blog posts that are fresh, original and fun-to-read, asserts the piece. Local events present great opportunities for link building, suggests SEOmoz, in a post that considers the collateral value of seminars, training days, shows and conferences. While you need to focus primarily on the benefits of the event itself, warns the article, taking a little time to add your event to relevant event-listing websites can result in useful, natural links that are entirely spam-free. Good targets include regional news sites, business magazines and local trade associations; remember to check your competitors’ backlinks to identify link sources, reminds the piece. Many search marketers are ignoring the potential of mobile search advertising, squandering the chance of conversions that cost far less than the corresponding desktop ads, suggests Marketing Land, offering two contrasting case studies. Although primarily aimed at pay-per-click practitioners, the advice applies equally well to mobile SEO, and underscores the fact that “most marketers [are] still not serious about mobile,” according to the article. The studies show that driving visitors to call a live agent is a highly effective conversion technique, and reflects the increased use of smartphones in early stages of the buying process. 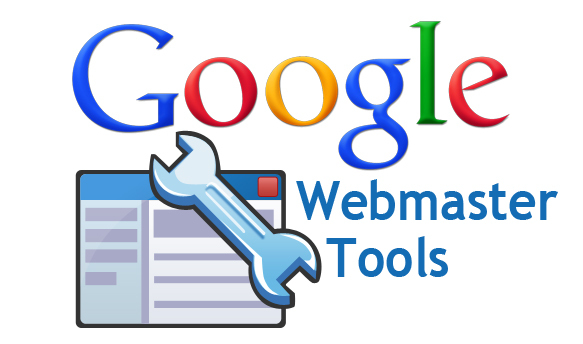 Do you make use of Google Webmaster Tools? Everybody knows that if you want to run a successful website, Google is one of the most important factors to consider. How Google understands, interprets and indexes your site, is crucial to where your site appears in the SERPs, and how well your site preforms in the SERPs (specifically the Google SERPs) can be a big determinant how much traffic your site receives, and ultimately how popular/successful your site it. Google Webmaster Tools is a very useful tool which is often underused by site owners, in order to improve the quality and quantity of traffic that your site receives. In this article I will outline some of the key features I find useful, and some of the main reasons why I use Webmaster Tools. Google has a monopoly on the search market, with more than 90% of all searches being done through Google – according to StatCounter Global Statistics. 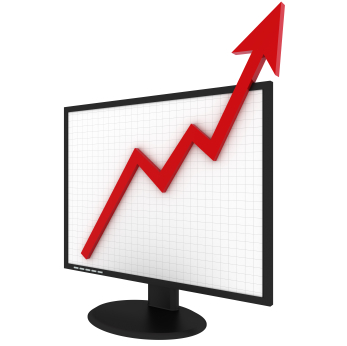 Therefore the chases are the majority of traffic your site receives through search is from Google. It would be naive to ignore Bing and Yahoo’s search tools available to webmasters, however if you plan on just focusing on one, Google is probably the wisest choice. Google is renowned for its major updates, with Penguin and Panda just two recent examples. Webmaster Tools can be a great aid in helping you understand how your site has been affected by the changes and why, so you can either keep doing things the way you are, or change your strategy. The most recent Google Webmaster Tools update has divided the dashboard into five easy to understand sections: configuration, how your site is set up (locality, URL preferences, sitelinks etc. ); health, how Google crawls your site and any errors, or malware it detects, and the URLs Google is denied from crawling; traffic, how do people find your site, which search queries do you appear for, who links to your content with what keywords and how does Google+ influence your visitors; optimization, tips and tweaks on how you could adjust your content and sitemap to improve your search position; labs, the latest tools Google are trailing that may be of use. One of the main reasons I use Google Webmaster Tools is because it lets me see how Google views and interprets the sites I administer. Therefore should there ever be an error, I am able to understand what Google is struggling to read/crawl, and therefore try to address the issue. Google lets you view and test specific URLs your robots.txt file is blocking Google from indexing and crawling – there is a difference. If you are denying it access to something by mistake you can then rectify this. Google also lets you see any pages it cannot find. If you run a content management system based site (like one powered by WordPress) it is common that you will change things using the system, and unforeseen errors will be created leading to pages not being found where they either should be, or once were. Google lets you see when it can’t find pages, along with when it is denied from accessing pages, and when inadequate redirects are in place. If you don’t use Google Webmaster Tools and don’t reduce the problems Google encounters when crawling your site, the likelihood is that your site will suffer in the SERPs – there isn’t much debate about that. however this doesn’t mean that these tools should be ignored, in fact I think they are probably one of the most overlooked resources that Google provides webmasters with. As page load time becomes more and more important to users and therefore search engines alike, this page is of crucial importance for many people. You might not expect it, but in the ‘Optimization’ section, under the ‘HTML Improvements’ section Google will actually suggest areas where you could improve your code to ensure that your content is the best possible. Common errors Google suggests for correction include missing or duplicate title tags, (in most cases, and SEO no, no) and meta tag issues. The tools in the ‘Traffic’ section are probably the ones I use the most. ‘Search Queries’ gives you a fantastic incite into where your site is appearing in search results in all different locations across the world. If you pair Webmaster Tools with Analytics, this can become a lot more useful. Links to your site and internal links lets you see your post linked to content, and the keywords that are linking to it. Generally speaking, if you want to rank well for a keyword, you need to have some links (internal and/or external) using that keyword. The great thing about Google Webmaster Tools is that it integrates with many other Google programs, in order to improve your total control and visibility of your site. AdSense, Analytics, YouTube and AdWords are just some of the other Google products that Webmaster Tools integrates with. That is just a quick overview of what Webmaster Tools has to offer. If you own a website, I strongly recommend that you explore it further to help improve your sites visibility in the search results, and to enable you to weather algorithm changes (like Penguin and Panda) that little bit better. 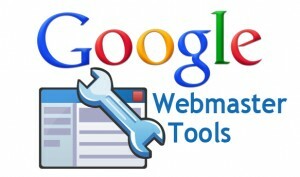 Do you use Webmaster Tools? What are your favourite features?